Power: up to 1.5 KW (1.3KW typ.). Very small: h 12, w 28, d 36 cm, connectors included. Wide frequency coverage: 1.8 MHz to 50 MHz, including WARC. 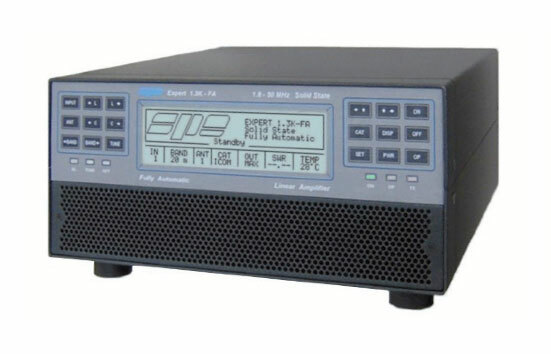 Internal switching power supply with power factor correction. No jumper changes necessary to work from 100VAC to 255VAC. Automatically switches between 2 transceivers. Can manage an external set of band pass filters. No ATU – ATU can be added as an option. Up to 3 antennas can be selected for every band. Additional receiving antenna can be selected. Drive directly up to 4 dynamic antennas (UltraBeam, SteppIR) for an easiest layout. No relay contacts are switched when current is flowing due to special software. Remote control and all software upgrades fully available on website. USB and RS 232 ports. 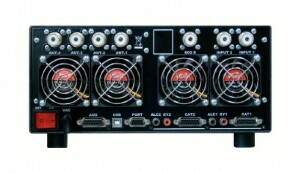 3 selectable power outputs: MAX (1300 W), MID (800 W), LOW (500 W). Very clean and low distortion signal. Both inputs always perfectly matched. 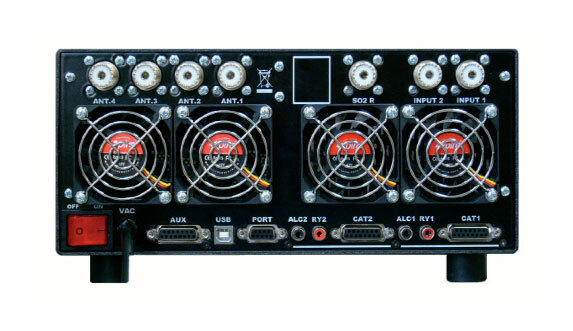 Quiet operation: Four fans linearly controlled by power supply and power amplifier temperatures. Fully solid state: Uses only one new very rugged device. Over 30,000 lines of software for performances that cannot be found together in any other amplifier. CAT and band data compatible with all rigs on the market allowing automatic control of antennas, bands, ATU matchings. Complete with heavy duty carrying bag allowing carry-on to airplanes. SPE EXPERT 1.3K-FA or SPE EXPERT 1.5K-FA? With the release of the new SPE EXPERT 1.5K-FA, this does not mean that the SPE EXPERT 1.3K-FA has been superseded. The SPE EXPERT 1.3K-FA is still very much a current model. In fact, these are two wonderful products with some important differences designed into each amplifier in order to best cover the varying needs of our customers. Dimensions and weight are identical between the two amplifier models. This means that we keep the unmatched portability of the 1.3K-FA for the DXpeditions, which has made this amplifier irreplaceable and unmatched. Solid 1.3KW PEP on every band and mode. Available with or without ATU. Solid 1.5KW output on every band and mode. Pre-distortion output connector for incredible linearity with SDR. 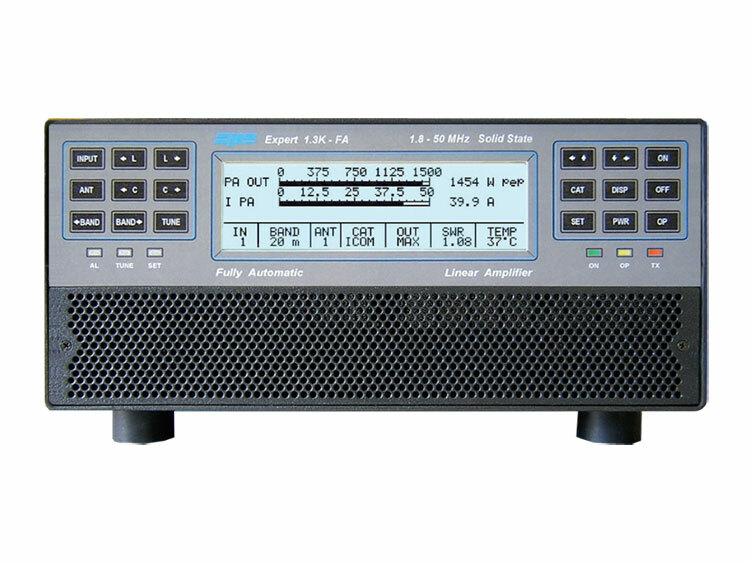 Only available in one version with built in ATU, which also complies with the FCC requirements.